Jose Mourinho’s attempt to deflect from Manchester United’s drab display only serves to save face for himself. United are commercial giants compared to Juventus having pinched their best player two years ago, but Tuesday night’s 1-0 defeat exposed the gulf in ambition between the two clubs. 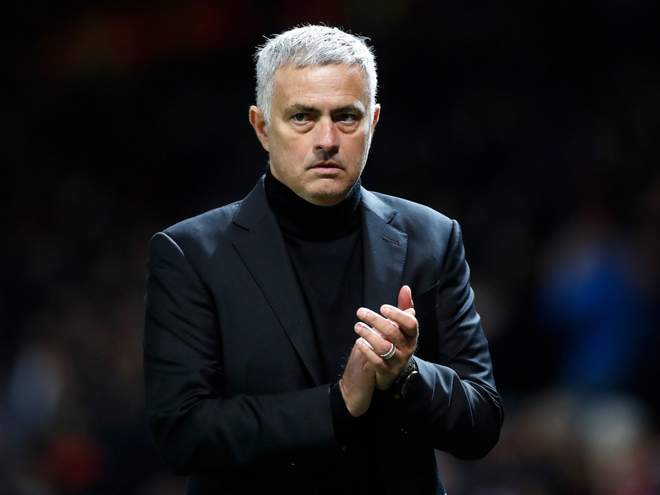 It was a fixture of such history that Manchester United were expected to evoke so many great European nights, but only ended with Jose Mourinho mimicking David Moyes. A passively defensive display ended with defeat, and a predictable attempt at deflection through expectation management, but really only served to deflate everything even more. In that regard, it wasn’t so much an engagement for the club’s main representative to face the media, but another opportunity taken to save face for himself. There’s no getting away from it. Mourinho came out with a series of comments that would have seen Moyes castigated for a complete lack of ambition. That of course started with pointed praise for Juventus for the extent of their ambition in the transfer market: “they are not happy with what they have”; “they want more”; “they want the best players in the world”; “they have a big desire to have a big future”. This was undoubtedly a loaded dig at his own club’s lack of activity in the summer market, and some of it was understandable and fair. What was a little less fair was the talk of how he always expected to be in “a fight with Valencia for second position” in the group behind Juventus, and how United struggle in the market against these “top teams”. He conspicuously referenced the Italians, Real Madrid, Barcelona and Manchester City – just as Moyes once did. That is notable enough from a United manager, but not as much as one talking about readily accepting second from the outset. It really shouldn’t be forgotten here that Mourinho’s reign at United opened with the signing of one of Juve’s best performing players and by far their most commercially lucrative in Paul Pogba, in a move that has helped consolidate the huge gap in resources between the two clubs. United bring in £285m from sponsorship and merchandising, just shy of double Juve’s £146m. Mourinho would have a point that the Serie A champions spend their money in the most focused and ambitious way, and specifically referenced how they went for 31-year-old Leonardo Bonucci and 33-year-old Cristiano Ronaldo. One argument from the Portuguese’s camp is that United would never have gone for players of such age, but Bonucci himself has admitted that the Old Trafford hierarchy wanted him in the summer. The centre-half is obviously of the quality that executive vice-chairman Ed Woodward would have sanctioned, unlike Harry Maguire, and Woodward was interested in Ronaldo, only for Mourinho to insist it doesn’t come out of his budget. It is also for these reasons of precision in the market that United want to bring in a proper technical body for football decisions above any head coach, and have already even been looking at replicating Juve wholesale. There has been contact between the Premier League club and former Juve chiefe executive Giuseppe Marotta and current sporting director Fabio Partici. Such a move is going to be difficult – maybe impossible – to pull off, but would Mourinho even want that structure? He has bristled at directors of football above him before, and one of his primary arguments is the club actually follow through on his market requests, rather than anyone else’s. This is where we come back to the clear media tactic of downplaying expectations. It is increasingly difficult to separate it from his main match tactics downplaying approach to games, that seem to play down what United are. Pogba was after all more conspicuous against his old club because of his general invisibility. He has been offering more effervescent moments of late, but there is still the problem of his lack of a properly defined role in the side. Mourinho still doesn’t completely know what to do with him. It fits with the lack of a defined style of attack, personified in the lack of movement of Romelu Lukaku – Mourinho’s primary signing in his second summer. What, from that, was United’s approach to this match? It often felt like Mourinho was just trying to stifle the game, and maybe nick one through a break in play – and not much else. That really didn’t befit the occasion. It was more befitting of a mid-table club, of the Moyes era, and not Manchester United.